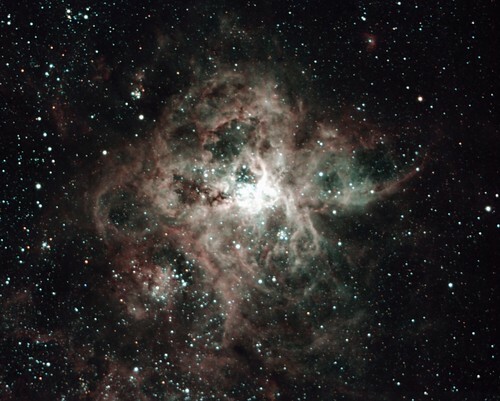 The Tarantula Nebula is not an easy target for Skyslab. It’s proximity to the southern celestial pole during winter nights means that tracking must be spot-on in order to get a good result for this nebula. 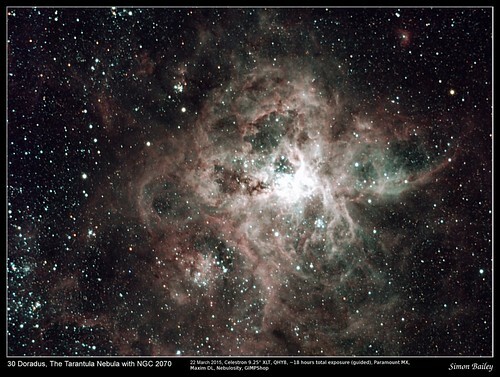 The Tarantula Nebula is about 1000 light years across, 170,000 light years away from us in the Large Magellanic Cloud. The Tarantula Nebula is a star-forming nebula; it is the brightest nearby star-forming region and home to some of the most massive stars in our cosmic neighborhood.